Serious Sound, Serious Value. 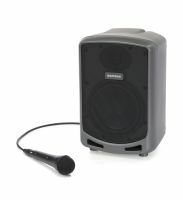 Samson's Expedition XP115A 2-Way Active PA Speaker presents a great option for those seeking premium sound with great value. Serious Power & Sonic Purity. Samson's Auro X12D 2-Way Active Loudspeaker provides outstanding reliability and sound quality for musicians, DJs and other live sound professionals. Serious Power & Sonic Purity. 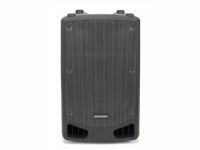 Samson's Auro X15D 2-Way Active Loudspeaker provides outstanding reliability and sound quality for musicians, DJs and other live sound professionals. Serious Sound, Serious Value. 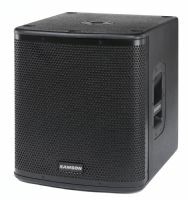 Samson's Expedition XP112A 2-Way Active PA Speaker presents a great option for those seeking premium sound with great value. Passive Powerhouse. 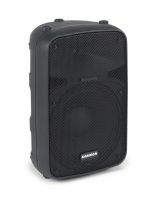 Samson’s RSX118S is a high performance passive subwoofer ideal for sound professionals and performers looking for serious low end output from their PA setup. Heart-Thumping Power & Portability. 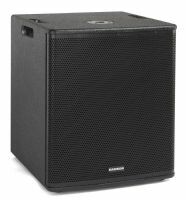 Samson's Auro D1200 Active Subwoofer provides powerful lows that let audiences not only hear, but "feel" the bass. Samson's Auro D210 2-Way Active Loudpeaker is a compact enclosure that combines superior components and meticulous engineering.